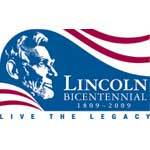 Here are some April birthdays for Lincoln’s friends and foes. And perhaps a few who lived before, during or just after his time. 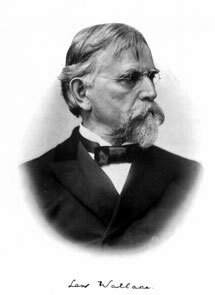 Lew Wallace, member of the military commission that tried the Lincoln conspirators. 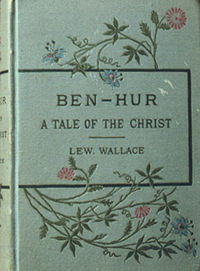 Later wrote the novel “Ben Hur”. Born April 10, 1827. Age 185. 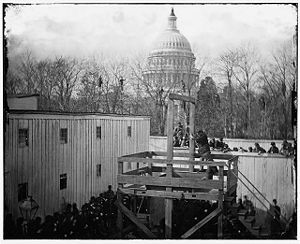 John H. Surratt (Mary Surratt’s son), Lincoln conspirator who escaped to Canada and then Europe. 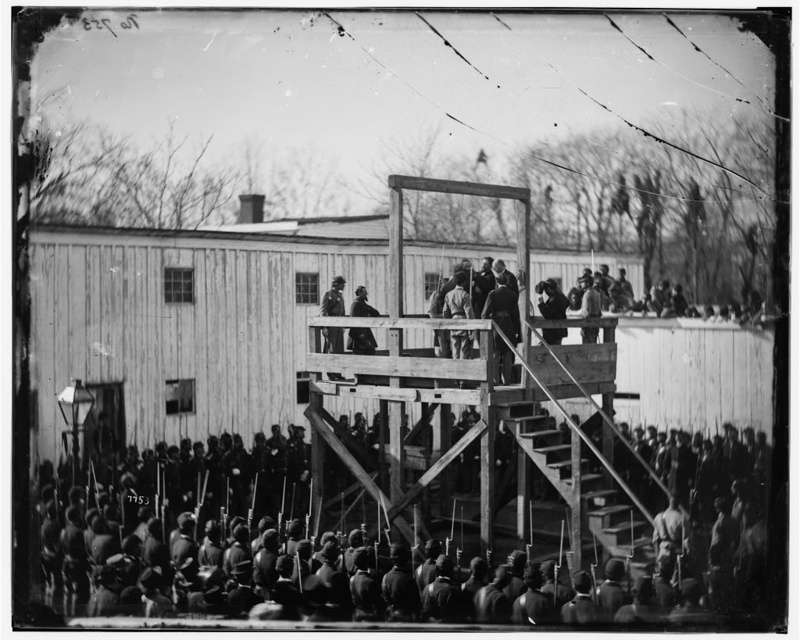 Caught and returned for trial in June 1867 but was acquitted due to a hung jury. 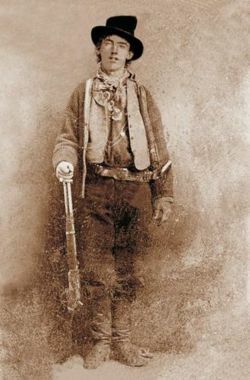 Like Powell, he was also just age 21 at the time of Lincoln’s assassination. Born April 13, 1844. Age 168. Lucretia Rudolph Garfield, 1st lady (1881) and wife of President James A. Garfield. Born April 19, 1832. Age 180. 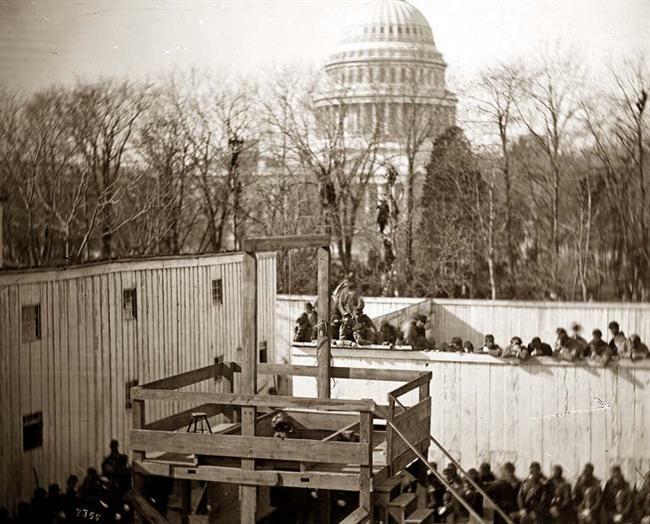 Lewis Powell (aka Lewis Paine or Payne), convicted Lincoln conspirator executed at the Washington Arsenal Penitentiary on July 7, 1865 at age 21. Born April 22, 1844. Age 168. Stephen A. Douglas, Illinois politician nicknamed “Little Giant” (5′-4″ tall) famed for his seven public debates with Abraham Lincoln for the Senate seat often referred to as the Lincoln-Douglas Debates. Born April 23, 1813. Age 199. Ulysses S. Grant, 18th President of the United States (1869 – 77). Born April 27, 1822. Age 190. Happy birthday lady and gentlemen. NOTE: If you notice any errors (or mistakes in the age calculations) blame me, laugh, and then feel free to comment with the correct information. Instant Replay is a feature which posts previously run articles for those who may not have read them in the past. Please enjoy this Instant Replay of The Fame of Major General Lew Wallace originally posted on September 1, 2008. It was one of my favorites. 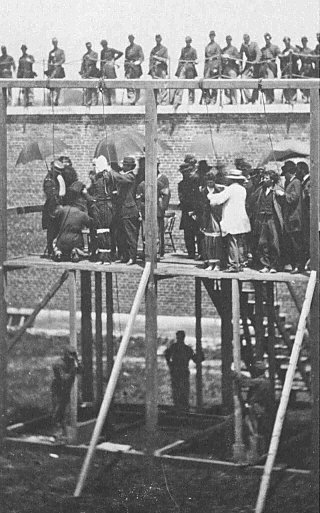 Four conspirators in the Lincoln assassination are prepared for hanging on July 7, 1865. I’d like to recommend two articles that I think you would enjoy reading. At the same time, I’d like your comments and feedback on them. Tell me what you think and let’s get a dialogue started. I look forward to hearing from you shortly. 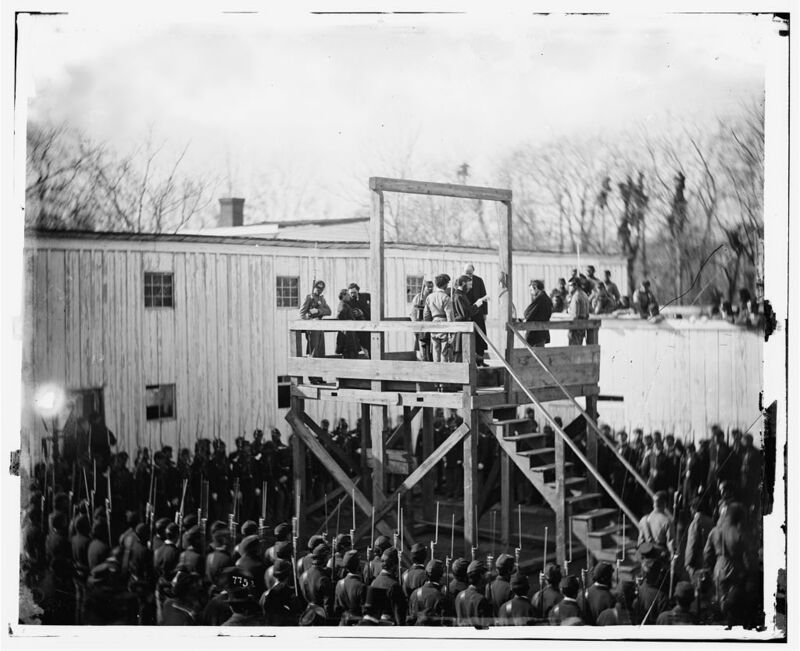 The first goes by the title of “The Fame of Major General Lew Wallace” and the second is “Hangman Christian Rath: Incompetence, Complicity or Just Common Practice”. 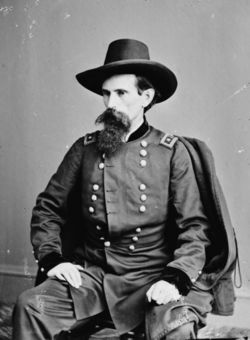 The Fame of Major General Lew Wallace tells the story of a Civil War general who, in historical retrospect, was involved in some of the most memorable events of his time. Then, as if that was not enough, he wrote three novels, one of which became a classic and is known world wide to this day. 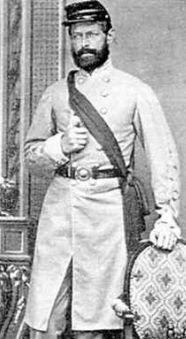 Find out which novel Lew Wallace wrote and what events he was prominently involved in by reading “The Fame of Major General Lew Wallace“. 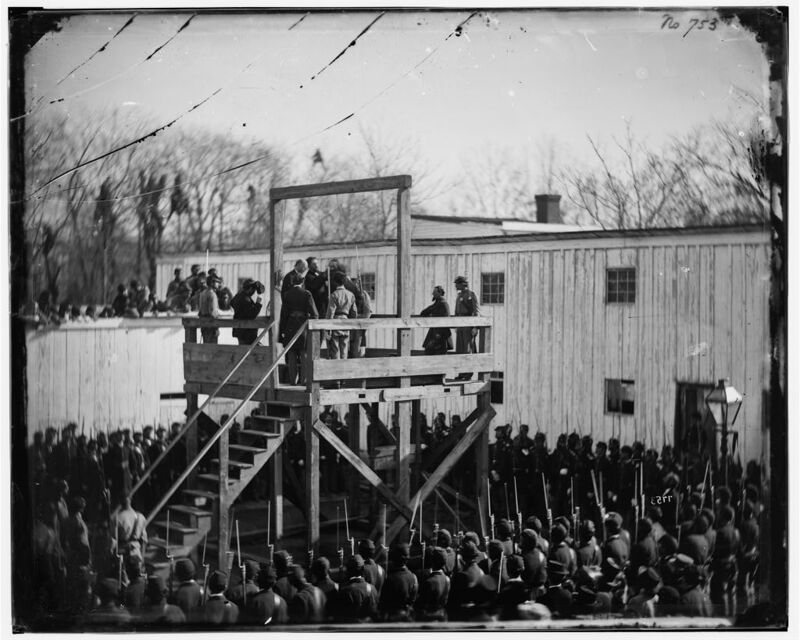 In the article, “Hangman Christian Rath: Incompetence, Complicity or Just Common Practice” the hangman responsible for executing four of the Lincoln conspirators is put on trial for botching some of the hangings. 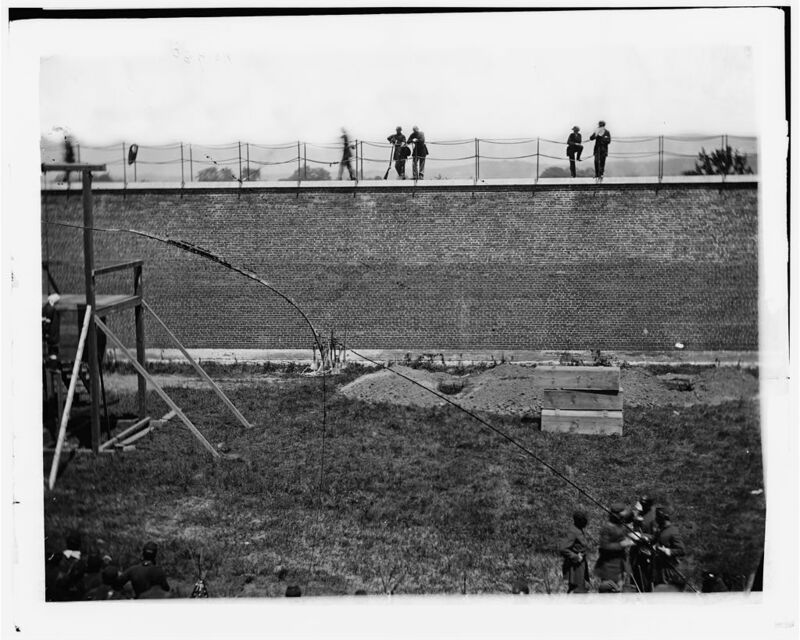 Did Rath mishandle the hangings which resulted in at least two of the conspirators needlessly suffering after the trap door was sprung? Did he purposely and maliciously conspire to inflict as much additional pain as possible on the guilty for their heinous crimes? Or was it just the way hangings were carried out and therefore, resulted in nothing out of the ordinary for that day and age? Find out by reading “Hangman Christian Rath: Incompetence, Complicity or Just Common Practice“. Please read both articles and let me know what you think of them. I’d love to hear your comments.